While surrounded by her family, Mrs. 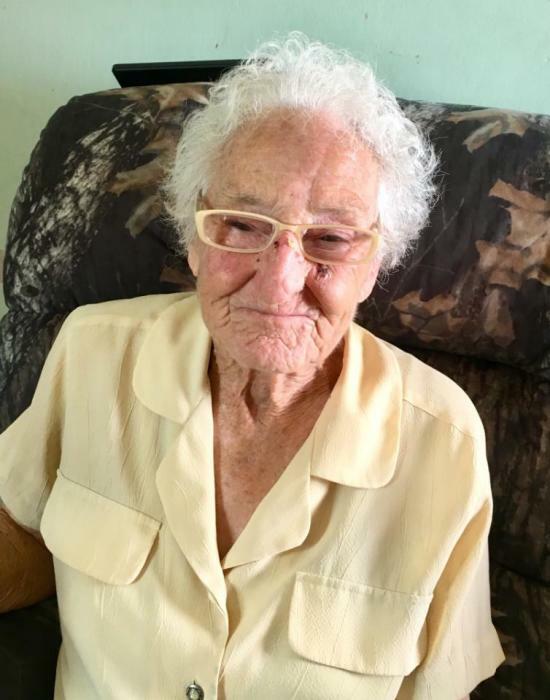 Patsy Ruth Strickland Turner, age 75 of Cerro Gordo, peacefully went to be with her Lord Jesus Christ on Tuesday, January 15, 2019, at the Lower Cape Fear Hospice Center in Whiteville. Born in 1943 on August 21st, she was the daughter of the late Albert Strickland and Hettie Fairfax Strickland. Along with her parents, Mrs. Turner was preceded in death by her husband, Gary Turner and her siblings, Joe Strickland, Tom Strickland, Jonas Strickland, Lura S. Hinson, Lurmie S. Nobles, Ruby S. Barnes, and Julie Strickland. Funeral Services will be conducted at 2:00 p.m. on Thursday, January 17, 2019, at Worthington Funeral Home Chapel, with Reverend Annie Parker officiating; Interment will follow in the Barnes Family Cemetery. Visitation will be held from 6:00-8:00 Wednesday evening at Worthington Funeral Home, Chadbourn. Survivors include her two brothers, Jeff Strickland of Lexington, Albert J. “Rocky” Strickland (Sophia); Niece, Eva Barnes Wallace and several other loving nieces and nephews.